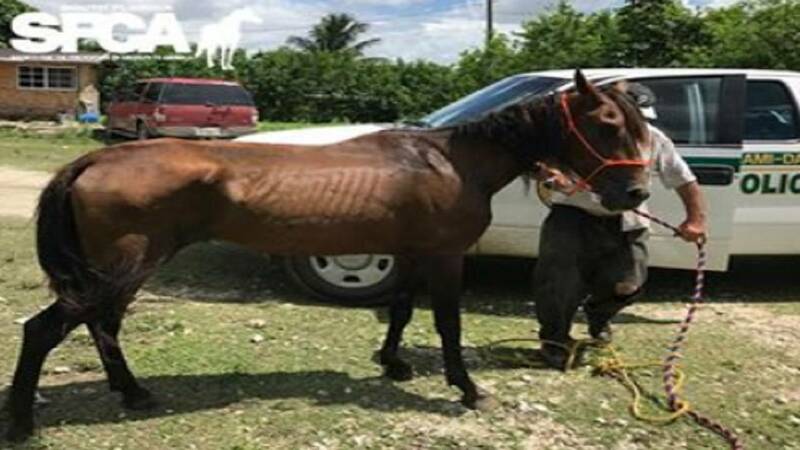 MIAMI-DADE COUNTY, Fla. - The South Florida Society for the Prevention of Cruelty to Animals rescued an emaciated horse Friday afternoon that was discovered in northwest Miami-Dade. Grace Delanoy, of the South Florida SPCA, said SPCA spokeswoman Laurie Waggoner was notified by a woman on Facebook that her husband saw the horse in the C-9 Basin. Delanoy said they are also investigating a report of a dead horse at the scene. Delanoy said this is the third abandoned horse the SPCA has rescued in South Florida since Tuesday. 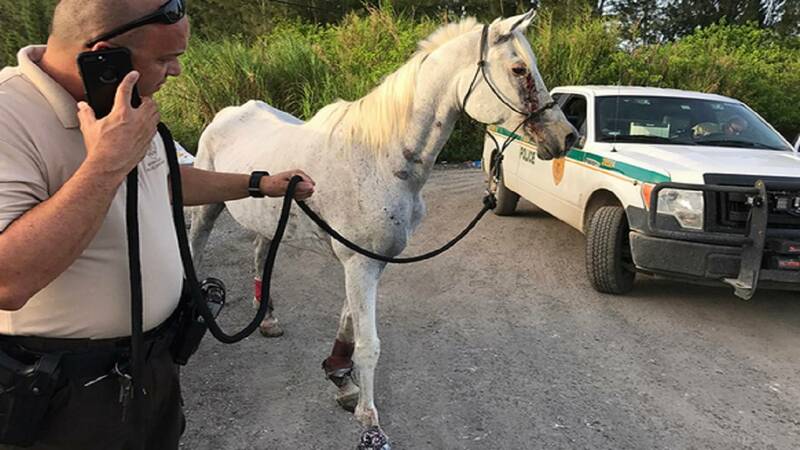 An Arabian gelding they named Oliver was found Thursday night in the Everglades in Miami-Dade County. The horse was covered in summer sores, Delanoy said. She said another horse they named Ransom was found in the Everglades on Tuesday. The South Florida SPCA is currently taking care of 60 rescued horses at their ranch. Click here to make a donation to help take care of the horses or to learn how to adopt one of the animals.